Steve Jobs | Doctor Arkanoid - Revelations From the Inner Sanctum! Doctor Arkanoid – Revelations From the Inner Sanctum! You are currently browsing the tag archive for the ‘Steve Jobs’ tag. OH GAWD! NOT ANOTHER STORY ABOUT STEVE JOBS AND HIS GOSH DARNED TOUCHY FEELY MAGICAL MYSTERY WIRELESS APP THINGY!!! (Cue: The sound of panic stricken readers screaming in terror as they flee from their monitors). Once more, the great turtle necked Creator of all things Apple focuses his will and fashions into existence a device of awe and wonder, consternation and controversy, bouquets and brickbats. The geeky multitudes around the world try to discern the mind of Steve and understand the meaning of it all. Is it an iPhone with a glandular condition? Is it a Macbook cloning experiment gone horribly wrong? Perhaps it’s some sort of mutant iPod Touch? What tweaks the Doctor’s interest about the iPad is how this device is going to affect playing video games. I pointed out in ‘Is Nintendo Losing its ‘Touch’ to Apple?’ that company president Satoru Iwata admitted to game app purchases from the iTunes store having a direct impact on Super Mario’s bottom line. Both the iPhone and iPod Touch use built in accelerometers. During the iPad keynote presentation on January 27th, Electronic Arts showed off Need for Speed: Shift. Gameloft demonstrated their first person shooter Nova. The Doctor’s jaw dropped when I saw both of these three dimensional action video games being played on the iPad…without a hand held video game controller! Let me say that one more time…without a hand held video game controller! The iPad’s release in 2010 sounds the death knell for hand held video game controllers. The era of the bulky controller with massive built in cooling refrigeration systems and ultra tremor inducing vibrations is well and truly finished. By simply touching the screen and physically moving the iPad, players can participate in many different types of game experiences. This is an important step forward in making video games more accessible to everyone. The Nintendo DS stylus and touch screen in 2004 defied everyone’s expectations; the system was a hit. There was much scoffing about the Nintendo Wii and the remote sensor controller technology in 2006 (we all know who got the last laugh). The good doctor can see wireless multi-player iPad games taking place in the same room, or competing with others in different locations. Another benefit the iPad brings to video games is that it lets budding game developers create their own original titles. There is a low barrier to entry in downloading the software development kit (SDK) from Apple’s website and developing a game app. Ten years ago, it was very difficult to find employment in the video game industry except in large game studios. The evolution of casual online games, mobile games, and the introduction of the Nintendo DS created new opportunities for talented artists, level designers, musicians, and programmers to strike out on their own and develop a diverse range of game experiences for players of all ages. From an educational point of view, the iPad shows great promise to assist with learning. Its perception is a ‘cool’, engaging device. The interface is easy to understand, it’s reasonably priced, and there are many useful game and learning apps available for it. The ability to read books electronically in a way that resembles how we naturally do it (and turn the pages!) is promising. When is that last time you curled up in your favourite chair with a computer monitor in your lap? The iPad doesn’t require educators to be computer scientists to master its use. It could help to bridge the knowledge gap that exists between teachers and technology. It presents the opportunity for educators and students to collaborate together. You can’t break it or make it explode by touching your finger to the screen. Mighty Nintendo, home to the great pantheon of immortal video game characters, has been shaken to its foundations by an ancient force re-awakened. Since 2004, Nintendo enjoyed a resurgence of commercial success thanks to the creation of the Nintendo DS and the Nintendo Wii. The company once scorned by die hard gamers saw the same worldly cynics madly scrambling to buy Super Mario Kart and Nintendogs! Nintendo re-established itself by focusing on the ‘Blue Ocean’ – the huge number of casual video game players who enjoy playing games for short periods of time, leaving the intensely competitive ‘Red Ocean’ market share of core gamers to Microsoft and Sony. The ancient force stirred, gathered its strength, and dipped its mighty hand into the Blue Ocean, sending ripples across the world to the shores of Super Mario’s Temple. In October, 2009, Nintendo reported that profits for the six month period from March to September decreased by 52%! Global sales of the Nintendo DS decreased 15% during that time to 11.7 million units (insert gasp here how this many sales could be a decrease – but the ways of the Gods are fickle). Software sales for the DS are expected to contract by 17% to 150 million units by the end of March, 2010 (again..insert gasp). What force could possibly shake the foundations of Super Mario’s Temple? 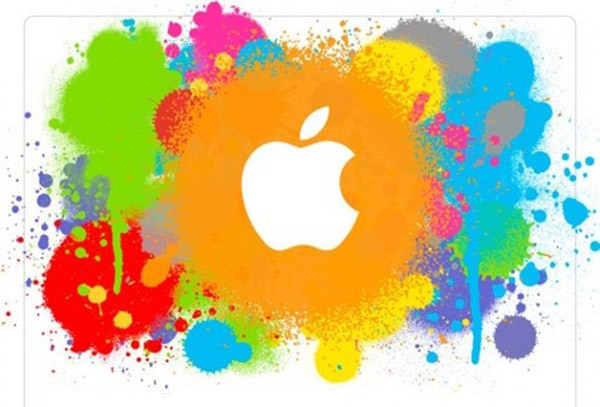 The grand technology Zen master Steve Jobs has extended his reach into the video game world with iTunes, the iPod Touch, and the iPhone. The president of Nintendo, Satoru Iwata, admits that Apple is having an impact on Nintendo’s fortunes, though he claims he is an Apple devotee and that there is no apparent rivalry between them. When it comes to thinking about companies that create technology for playing video games, the name ‘Apple Computer’ doesn’t exactly leap into mind. It’s sort of a strange paradox because Apple was founded in 1976 by Steve Jobs and Steve Wozniak on the original premise of creating “...computers for the rest of us...”. The Apple II was never designed for playing games; however, many lone programmers spent countless hours slaving away in their basements, bedrooms, and garages to create titles like Expedition Amazon, Apple Panic, Choplifter, Lode Runner, Drol, Sammy Lightfoot, Sneakers, The Dark Crystal, Time Zone, and Wavy Navy. I will never forget the thrill of playing Transylvania by Penguin Software, Prince of Persia by Broderbund, or Ultima II by Origin Software. The first personal computer game companies evolved, including Broderbund Software, Sierra Entertainment, and Electronic Arts. Founded in 1982, EA was a small company of programmer ‘auteurs’ who created famous Apple II titles like Archon, Pinball Construction Set, and Skyfox. The first computer game designer ‘celebrities’ were crowned, including Bill Budge, ‘Lord British’ Richard Garriott, Ken & Roberta Williams, Jordan Mechner, and Doug Smith. When the Macintosh appeared in 1984, it was all about the mouse and the graphic interface. Apple focused on showcasing how Macintosh and its flickering bluish white display screen could be used for graphics and writing. In 1986, desktop publishing was the ‘killer app’ for buying a Mac. Apple wasn’t interested in games. But that didn’t stop developers from trying to wring some fun out of Macintosh. Dark Castle and Beyond Dark Castle were very popular. Most people don’t know that you could play networked games on a Macintosh in the late 1980’s using an Appleshare connection. I regularly fought my friends in long Maze Wars tournaments after work (God I hated seeing the killer eyeball come round the corner wall before my nemesis killed me!). The introduction of Hypercard in 1987 and its use of hyperlinks led to the creation of The Manhole (1988) and Cosmic Osmo (1989) by Rand and Robyn Miller, who later went on create the Myst adventure series on the PC in 1993. One moment I’ll never forget is at the 1991 Game Developer Conference in San Jose’ California at the old Hilton Airport Courtyard Inn. Apple sent a lone company game evangelist to walk among the 200 PC and video game developers who attended. It was truly a ‘Daniel in the Lion’s Den’ moment as the game developer crowd wasn’t exactly receptive to the evangelist’s message that Apple really cared about games. I observed it was a good thing there was plenty of food for the developers at the reception! Fast forward to 1997 and the second coming of Steve Jobs as he returned to Apple and launched the iMac computer. Steve rightly decided that it was important to get game developers on board to help make Macintosh ‘cool’ again to computer users. So he did something clever and enlisted the help of programming wunderkind Jon Carmack to create QUAKE for the iMac and show off the 3D graphic capabilities of Apple’s computers. It had the desired effect; game development for the Mac started to take root. While it’s true that the number of titles was nowhere near what could be found for Windows based computers, at least there was a better chance of making money developing games for the Mac. You know Apple has come a long way in computer games when Blizzard developed a Macintosh version of World of Warcraft! Join the Doctor at ringside next time for Part Two of the ultimate Super Smash Brothers matchup: Super Mario versus Steve Jobs! What’s ‘App’ With You These Days? Live From Media Jeunes 2010 it’s Dr. Arkanoid! The Cataclysm is Upon Us! 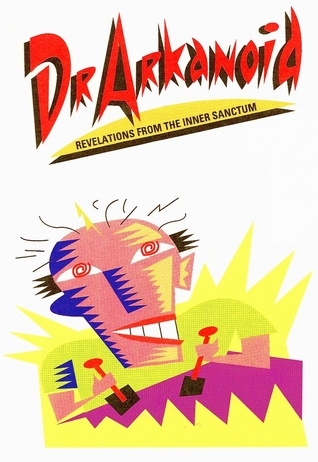 Anthony Gurr and Doctor Arkanoid - Revelations From the Inner Sanctum!, 2009. Unauthorized use and/or duplication of this material without express and written permission from this blog’s author and owner is strictly prohibited. Excerpts and links may be used, provided that full and clear credit is given to Anthony Gurr and Doctor Arkanoid - Revelations From the Inner Sanctum! with appropriate and specific direction to the original content.